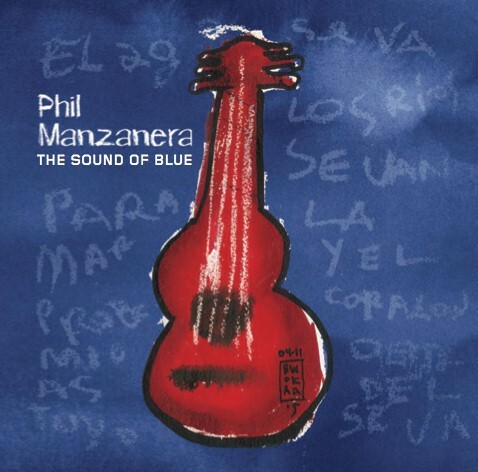 The Sound of Blue is the latest album by Phil Manzanera. It features Andy Mackay his partner from Roxy Music on sax and VCS3 as well as ex Sterophonics drummer Javier Weyler and Yaron Stavi from Gilad Atzmon’s Orient House Ensemble on electric and double bass. The first track Magdalena is a tribute to his mother Magdalena,born in Baranquilla ,Colombia and named so by her father who was a captain of a paddle steamer that travelled up the Magdalena river in the times of Gabriel Garcia Marquez.Phil’s mother began teaching him guitar ,aged seven , in Havana ,Cuba in 1958 and the beginning of this track was one of the first pieces of music he learnt from her.The video starts with a shot of the actual guitar.